The other day, My Vacation Lady was talking to a client who really, really wanted to stay at a resort that included an infinity pool. 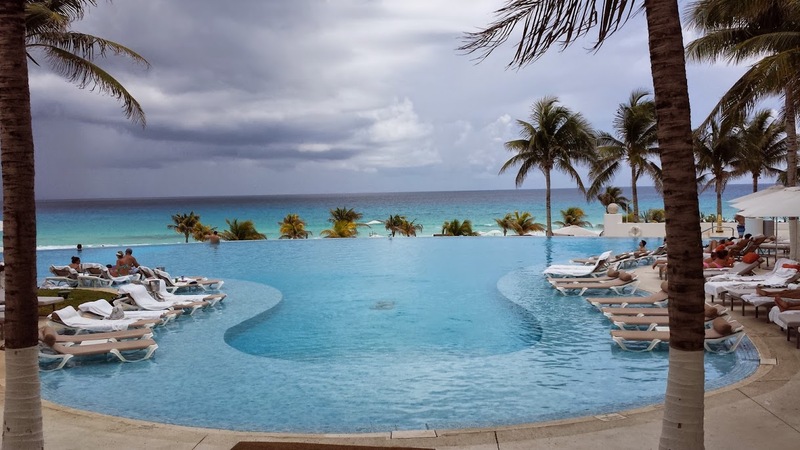 There are some really great infinity pools around the world but for this post, we’re going to focus on some resorts with great infinity pools in the Riviera Maya and Cancun areas. 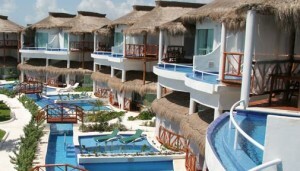 El Dorado Casitas Royale- This adult only all inclusive resort in the Riviera Maya has rooms (known as Casitas) with their own private infinity pools (on the 2nd floor) and swim up casita suites with infinity pools that lead into a pool that wanders thoughout the casitas in the section. 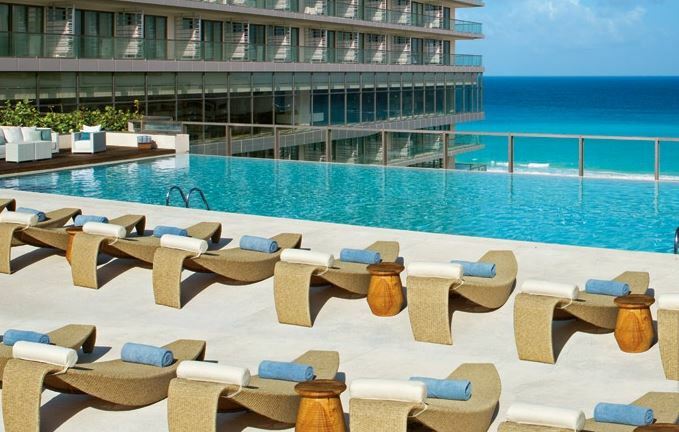 Secrets the Vine – In Cancun, this 5 star adult only resort has a focus on wine, but that doesn’t take a way from the great infinity pool open to their preferred club guests. Not that the pools for the rest of the guests are too shabby but the preferred club guests get lots of extra amenities too! Le Blanc- this adult only all inclusive resort in Cancun has a pool that is just to die for. This is actually the screen saver on my computer- that’s how much I liked it! 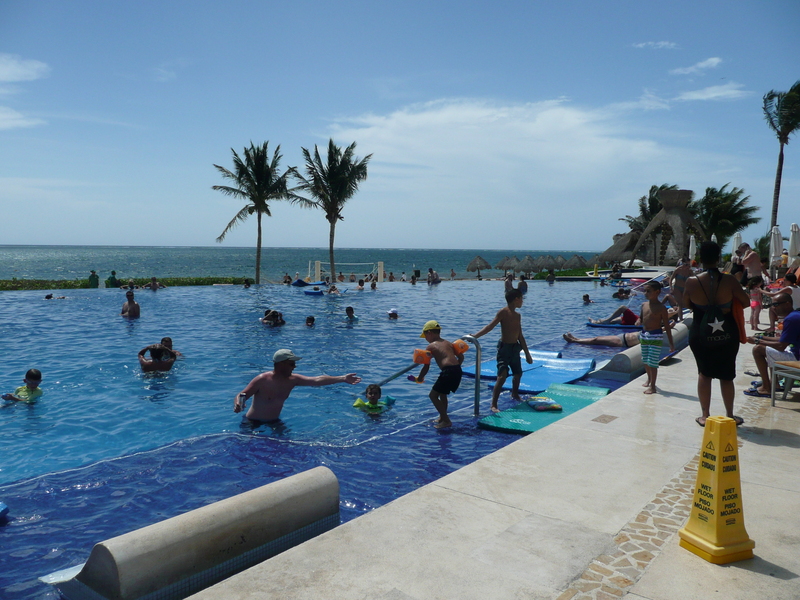 Generations Riviera Maya– this 5 Star family friendly resort has infinity pools on 3 levels of the resort that run the length of the room block. This was the view from the ocean view infinity pool suite. 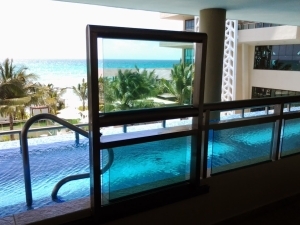 Dreams Riviera Cancun– is an all inclusive resort that has a great family infinity pool. We took this picture when we visited in September 2014. So if you LOVE infinity pools and are looking for a great family friendly resort or a great adult only resort, you have lots to choose from in the Riviera Maya and Cancun. My Vacation Lady takes the personal approach to vacation and honeymoon planning. We won’t just squeeze you into the deal of the day. We take the time to listen to your dreams and find the right resort and vacation for you. Contact us for more information.